Hornsey isn’t wrong. 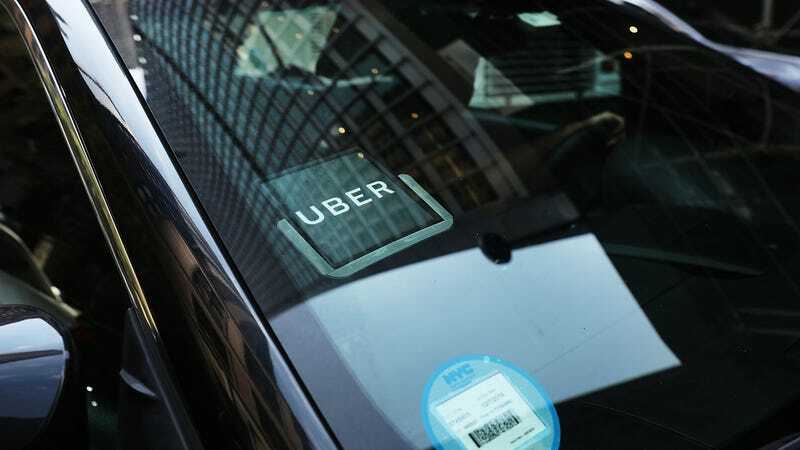 “We don’t think they’re all going to want to rush to Uber, but we want to build relationships with those people over time,” Hornsey told the Wall Street Journal. Underrepresented groups have certainly been turned off by the string of scandals recently plaguing the company—and if a few months of very bad headlines is a deterrent, wait until there’s an incriminating Hollywood movie. Deadline Hollywood reports that a movie about former Uber engineer Susan Fowler is in the works, with the working title Disruptors. Fowler’s blog post spotlighting sexual harassment and discrimination at the company was a catalyst for Uber’s scandal-ridden decline. Fowler reportedly promised her life rights to the film, which will be written by Allison Schroeder, the screenwriter behind Hidden Figures, and produced by former Disney production executive Kristin Burr. The film doesn’t have a studio attached yet. While Uber got rid of its embattled CEO Travis Kalanick and diminished his power within the company, new CEO Dara Khosrowshahi still faces a litany of scandals, including federal investigations, messy lawsuits, and a vacuous executive suite. And now, potentially: a film about the company’s toxic work culture. This isn’t the first Uber movie to be shopped around, but it certainly sounds the most damning. In April, both Universal and Fox reportedly dropped serious cash on two separate Uber-themed movies which both sound expectedly terrible. One is a comedy starring Will Ferrell about “an Uber driver stuck with a deranged escaped-convict passenger,” while the other, titled Stuber, “takes place over one harrowing night in the life of an Uber driver who picks up a grizzled cop working the most dangerous case of his career.” There are more Hollywood movies about Uber being shopped around than there were women considered for the CEO role. An ex-employee with a Hollywood movie, baby.